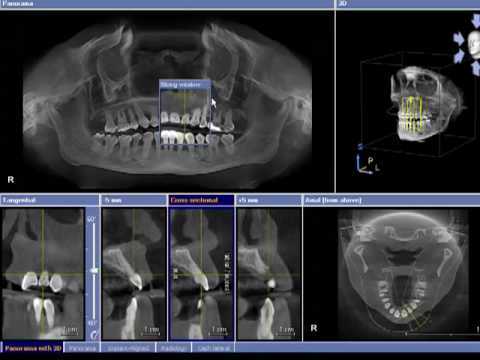 The use of cone beam imaging goes a long way to ensure that your dental care is highly personalized and minimally invasive. This technology is not only effective, it uses the bare minimum level of radiation to accomplish that result. Not only are the images that result clear and crisp, they are also highly detailed so that our dentists can identify any and all issues that may be present in order to customize treatment to fit your particular needs. Let us answer any questions that you may have about this technology and how we put it to work for you by giving our friendly staff a call today. Get the relaxed comfortable dental care that you need at the offices of Dr. Vincent Vella D.D.S. When it comes to your individualized care, the use of technologies, like Cone Beam Imaging, can help customize your care to reduce unnecessary procedures and increase effectiveness. Through the use of Cone Beam Imaging, Dr. Vella can do everything from identifying the need for implants, root canals, and visualizing impacted wisdom teeth all the way to analyzing airways to ensure a deeper problem does not exist. You will simply not find a dental office near Rochester as highly professional and with as much experience as you will find at the office of Dr. Vincent Vella D.D.S. We offer a friendly staff, experienced professional doctors, and cutting edge technology to help you make your appointment more relaxing, more efficient, and more enjoyable than anywhere else. Schedule your appointment today, and let us help you find that smile that you have been looking for today.